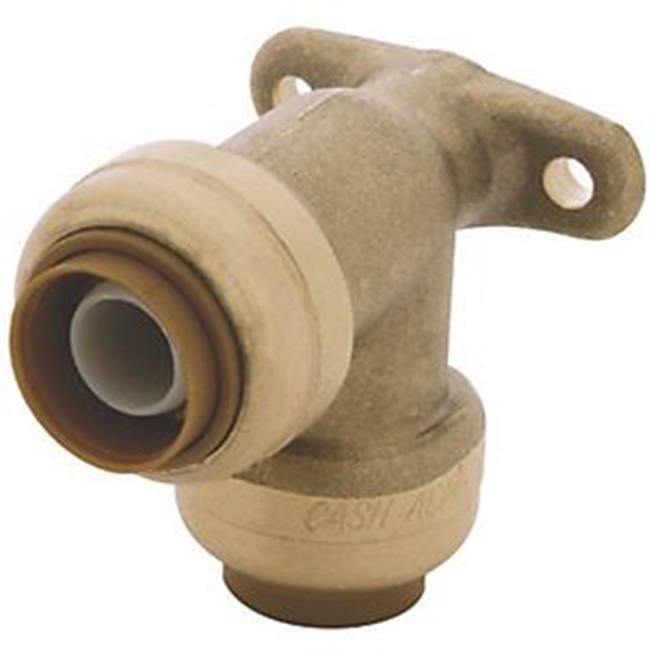 Push connect fittings drop-ear elbow push-fit fittings lead free size 1/2 inches x 1/2 The SharkBite Connection System is an instant push-fit connection that connects copper tubing, CTS CPVC and PEX pipe in an combination - no ering, clamps, unions or glue required. Certified to 200 PSI and 200DegF. Compact, robust DZR brass body. Found ation of a strong, corrosion resistant, durable fitting. Design certified to ANSI/NSF-61 and ASSE 1061 product standard for use in potable water and hydronic heating water distribution. Approved to be used underground and behind walls without access panels. Lead Complaint.